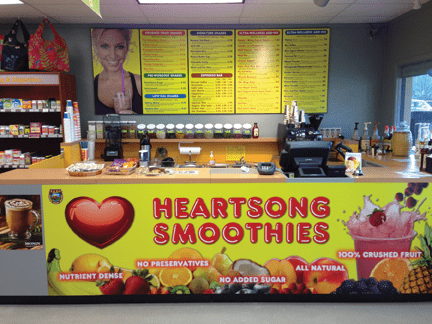 If you love complex, super-healthy smoothies and are keen about living a healthy lifestyle, stop by Heartsong Nutrition. 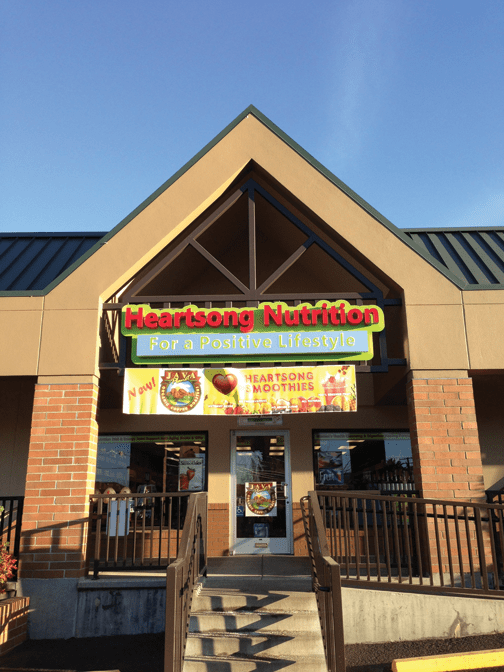 Located in the Gateway Shopping Center next to Market of Choice, Heartsong Nutrition is locally owned by Jim, Anyas, and their son, Sunji Spencer. Now celebrating their 4th year in business — the team has worked hard to bring Ashland a wide variety of health care products, healthy, no-added-sugar smoothies, and current product information. 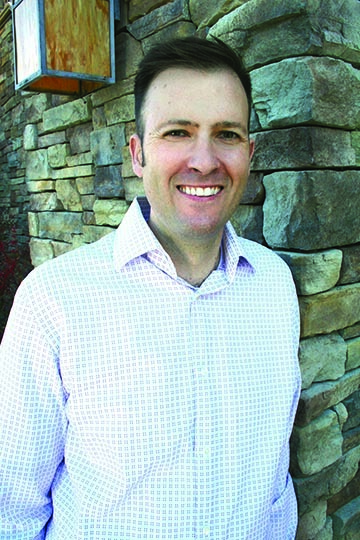 Health industry veterans, both Jim and Anyas have owned 6 health food stores in Alaska, and have spent more than twenty years researching and educating clients on the benefits of natural products and healthy living. Heartsong Nutrition supplements are divided into helpful sections addressing different health care issues from Diet and Weight Loss, Anti-Aging, Cleansing and Detox, Hormonal Issues, Sports Nutrition, Digestion, Brain Health, and Joint Health. In the complex world of food supplements, it can be difficult to find the right product. Our staff can guide you directly to the products you are looking for. Jim and Anyas, thanks for doing your interview with us today. Please tell us how things are going at Heartsong Nutrition as you begin to move into your fourth year. We have watched the business continue to grow exponentially because there is a real need for people to get truly healthy smoothies, and to find nutritional products that can help solve health problems and maintain a healthy quality of life. Phase I was the construction of the nutrition store. Phase II was the implementation of the smoothie bar. Because of our nutritional supplement backgrounds, we are able to formulate smoothies that have amazing health benefits. Already, many of our regular customers report that their health, metabolism, and energy are improving, their weight is dropping and their skin is softening. And people with joint and pain problems are getting pain relief. 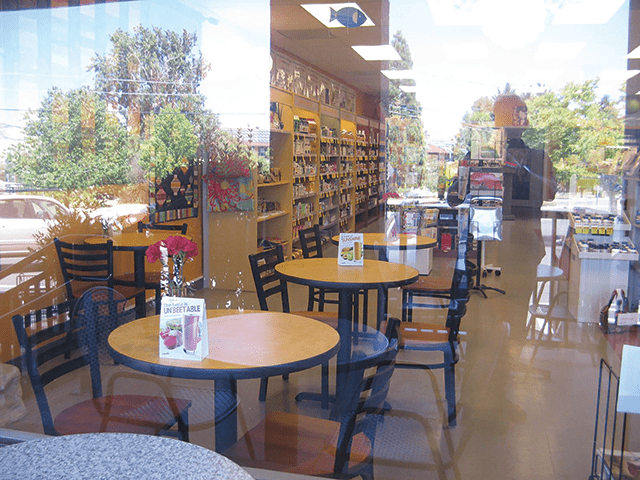 A large focus of your store has been centered on nutritional science. Can you tell us more about this? During our personal life journeys, we have been eager students of nutritional-based natural healing. Doctors can assist us in the healing process through medicine, surgery, and counseling, but in the end it is our body’s many systems that do the healing with the help of nutrients. We are continuously studying the world’s breakthroughs on natural healing products. There are so many wrong ideas out there about which foods are healthy or not healthy. Take for example the low-fat craze. Modern nutritional science is showing us that many overweight people are actually fat-starved. We need fat in our diet to keep us healthy, but it is the kinds of fats and the way that fats are processed in the body that determine whether they help or hinder good health. What we have learned is that Mother Nature has thoughtfully hidden all of the necessary healing and maintenance nutrients within the plants, animals, fish, and the earth itself. Just by making some simple changes to the way we eat, we can cause our own metabolism to find its equilibrium, and heal and restore the body back to complete health. Please tell us about some of the products that you sell in the store. We carry formulas specific to meeting the health and healing needs of people. We carry intense formulas for dieting, cleansing, heart health, homocysteine control, and immunity along with enzyme, mushroom and superfood formulas. The supplement varieties available are vast, so we try to narrow them down to focus on the important areas of health concerns. We can help guide individuals to the best formulas for them. It seems complex. How do you organize all these products? The human body has systems such as the nervous, endocrine, digestive, circulatory, cardiovascular system, etc. We group our products according to the area of the body needing attention. That makes it easier to find the right product for the appropriate purpose. 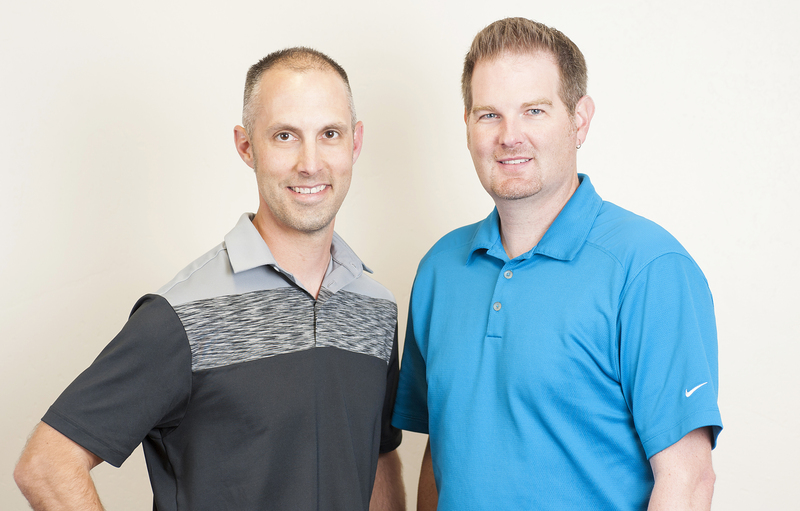 We have a knowledgeable staff to help you pick the right product. Providing friendly and knowledgeable service is something that Heartsong excels at. Our goal is to help people and make them feel welcomed. We always look to add smart, positive people to the team. As far as the knowledge part goes, we try to stay up on the information so we can explain how each product works. Nutrition is a constantly evolving field. Total health often involves several products to address the related body-system health needs and new powerful formulas are constantly coming in to the market. As the market evolves, so do we. Anyas, please tell us about the choosing of the name Heartsong for the business. We felt that the name “Heartsong” best represented the mission statement of our store. While we must materially sustain the business, we believe that total Wellness involves all three levels of mind, body, and spirit. So we also have a prayer / meditation room which we allow groups to use. Good health requires living in harmony on all three of those levels. We like to think of our customers as brothers and sisters. Anyas, your expertise in the store is in the women’s health products section. Please say more. Both men and women go through different life cycles. They are different but in many ways they are the same. For example, both men and women require DHEA and testosterone and both men and women have estrogen issues. Today, there are many natural products which can help to maintain healthy hormone balances as we age. Please ask us to show you some great creams and natural formulas that can help. 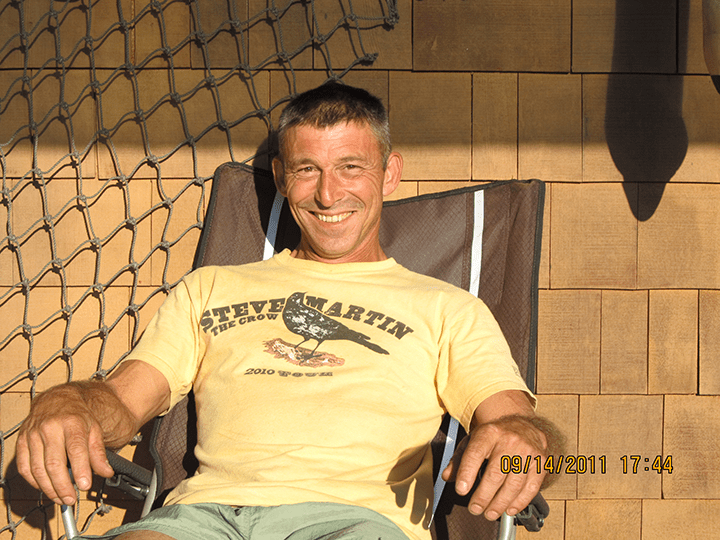 Jim, please share a little bit about your own path to healing and involvement in natural foods. 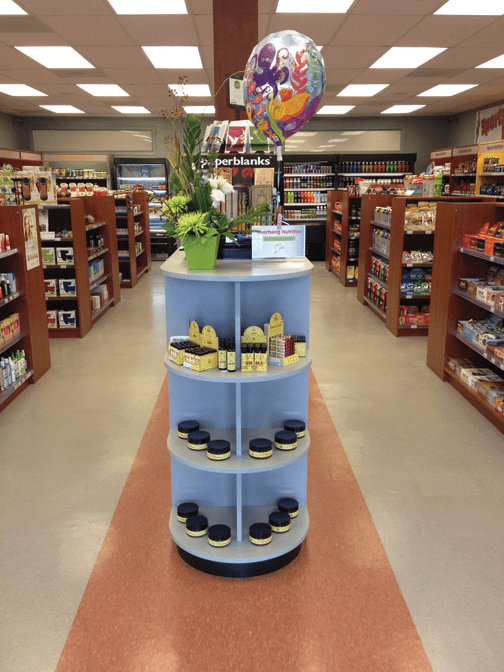 We opened our first health food store in 1995, which was a GNC franchised store. GNC has good training programs and they really got me interested in health food supplements and healthy lifestyles. That didn’t stop me from having my own health crises, which stimulated me to learn more about the health of our population and the causes of metabolic problems. The metabolic problems have continued to worsen; now almost 70% of the population are overweight and are caught in the diabesity epidemic. And now, multiple generations are experiencing metabolic problems, including young children. It’s all part of our highly industrialized society and the Standard American Diet (SAD). There is a learning curve if someone wants to get healthy. That is to get their blood pressure, glucose levels, cholesterol, and triglycerides back into shape. 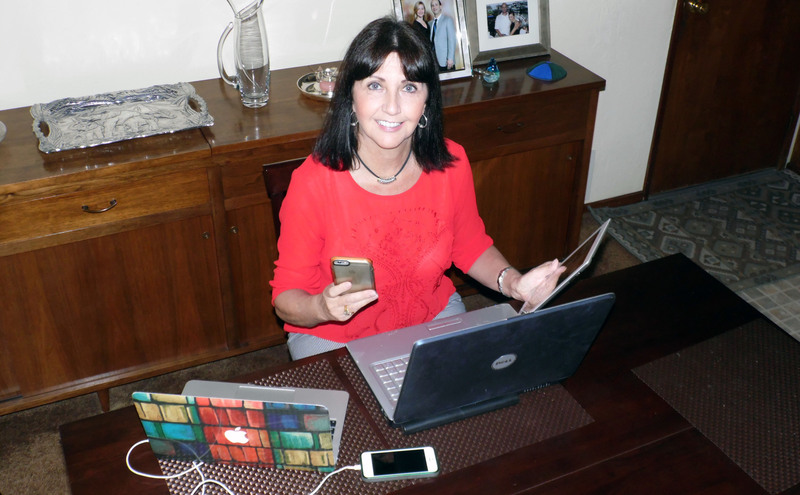 Once I learned how to do this through personal education and was able to apply it to my metabolism, I now had the product and lifestyle information to help others attain the same goals. I have studied the work of many naturopathic doctors, such as Dr. Mark Hyman, and I incorporate their knowledge into our natural healing philosophy. You mention the term “diabesity.” Can you elaborate on this? This comes from the two terms diabetes and obesity. As we age, if we do not take care of our health, our blood sugar levels will rise, pushing us towards type II diabetes. And our body will lose the ability to process glucose properly, causing fat storage. This rise of blood pressure, blood sugars, and the dysfunction of our organs is what is referred to by the new term “diabesity.” It has also been called Metabolic X Syndrome. This condition can be addressed through altering our nutritional choices and making some simple lifestyle changes. Diets don’t usually work for the long term but replacing what we are consuming with other healthier choices is not difficult – provided we have knowledge, the desire for good health, a little bit of willpower, and the ability to hold to a healing timeline of six months to a year or more. Jim, you seem to stay current on natural healing. What are some current topics you are studying? I’m currently studying about fats and oils. Since research tells us that Americans (even heavily overweight people) are starved for healthy fats, this is a most important topic. Many people have misconceptions about the types of fat in our diets and what they do for us, because of a nationwide program to reduce fats in our diets. For example, the Masai tribes of Africa exist on a diet of meat, animal fat and organs, and milk. And they have low rates of metabolic problems. Trans fats have been promoted in this country while saturated fats have been discouraged. The truth is, it is the man-made trans fats that are causing many of our chronic health problems while healthy fats contribute to health. Healing fats get mixed up with harmful fats so that many people mistakenly try to avoid them all together. We offer healthy fats and oils in our smoothies and we have a good selection of products where you can obtain cold-pressed, fresh plant, nut, and seed oils. Let’s talk about smoothies. 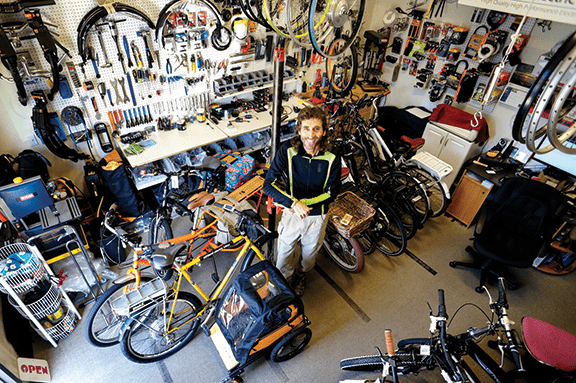 Why have yours been so successful? We make our smoothies from a base of 100% crushed fruits & vegetables. They are packaged and flash pasteurized but they use organic fruits—the whole fruit—vine-ripened and sun-ripened, with no sugar added. They are as close to fresh as possible while maintaining a high level of hygiene and consistency. We also use low-temp, spray-dried vegetable and herbs, and have over 50 health boosters that we can add in to custom make your smoothie just the way you want it. To that, we have organic plant, nut, and seed oils, which we monitor for freshness, and we also offer various types of protein powders. You can go all vegan, dairy-free and low-sugar as you like. You won’t find any high-fructose or GMO additives in the store. Our customers tell us that our smoothies are the most delicious they have ever had and we also have kid sizes. What a good way to get the kids used to drinking healthy smoothies. Some people have reported losing weight drinking smoothies. Why is this? Our bodies are the most complex organisms on the planet. Inside our control systems are programs and healing sub-routines. If you remove the toxins and irritants from the body and then supply it with the right nutrients, the body can heal itself. Excess body fat (belly fat) is a sign that our glucose metabolism isn’t working properly. Excess fat has inflammatory prostaglandins that can lead to disease. Consuming the many healthy superfoods in a green smoothie begins to repair / regulate cells and important organs such as the pancreas, liver, kidneys, and digestive tract. Once this happens, the body finds its harmony and balance (homeostasis), and the excess weight begins to naturally come off; by nourishing your body properly through healthy foods and nutritional supplements, you begin to find your ideal health and body image. Of course there are specific issues such as testosterone and estrogen that also need to be managed as we age in order to be able to keep regenerating ourselves so that we can improve and extend the quality of our lives. And if we are already in a disease state, then the game will be about reversal and recovery, which requires a more aggressive nutritional plan.